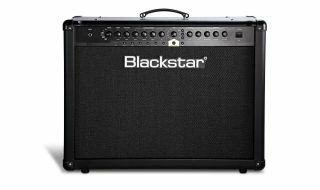 Enter the Great Guitar Survey for the chance to win a Blackstar amp and much more! Guitarist magazine celebrates its 30th anniversary next month. To commemorate our birthday and find out how the world of guitar has changed over the past three decades, we're conducting a giant survey to find out how you play, perform and enjoy guitar in 2014. The survey is fun, thought-provoking and only takes a few minutes to complete - so we hope you'll join us in our quest to find out more about guitars and guitar music have changed in the time that Guitarist magazine has been around. All the best from the Guitarist team! Buy Guitarist in print and digital forms here.